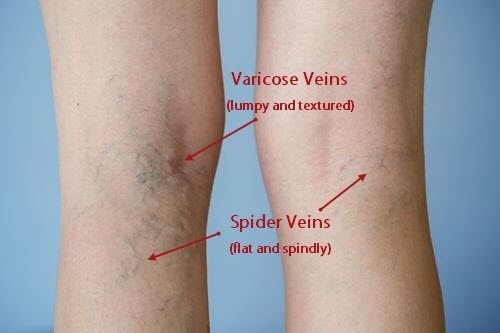 One thing is for sure, varicose veins are ugly especially on women’s leg. It can make you feel self conscious whenever you want to wear a pair of skirts. 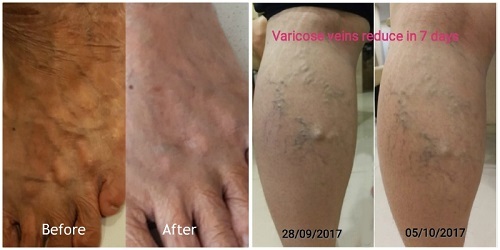 What are the treatment for varicose veins in Malaysia? The cheapest treatment is by applying special medicated cream on your leg a couple of times a day. However, the results of the cream can be slow or no improvement at all. If the varicose veins are really serious, you can go for laser treatment and removal surgery with a specialist. But the cost for the laser treatment in Malaysia can be quite high. 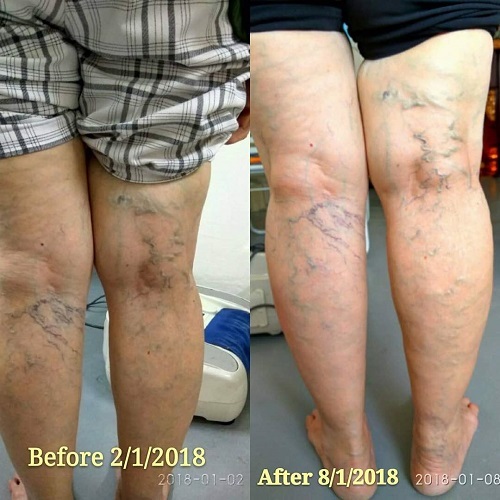 If a medical cream is not effective and a laser treatment is too expensive, what other option do you have to remove varicose veins? The best option is to wear a special compression stockings which will help to reduce the pressure in the veins. 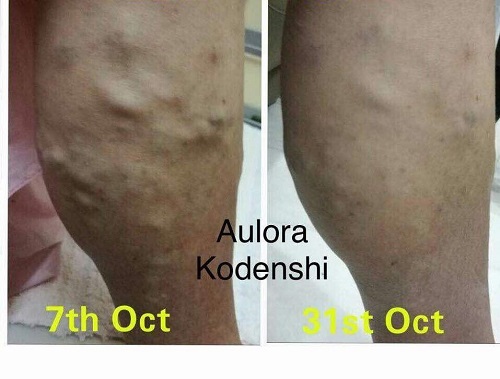 Here, I would like to recommend a type of compression stockings or leggings known as Aulora Pants with Kodenshi. The Aulora Pants is fully made in Japan and imported into Malaysia. What’s so special about this compression leggings? It is the Kodenshi fiber. Kodenshi fiber is made by incorporating high-purity ultra-fine ceramics into the material using state-of-the-art technology. 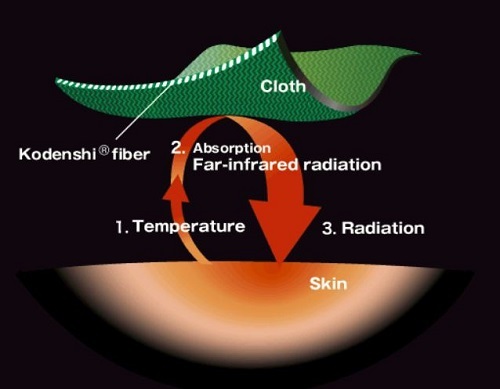 The fiber uses far infrared rays radiation to act on your body temperature range effectively. I know it is a bit technical, but generally, the legging helps retain your body temperature. One of the benefits of retaining the temperature on your legs is reduce the appearance of varicose veins. 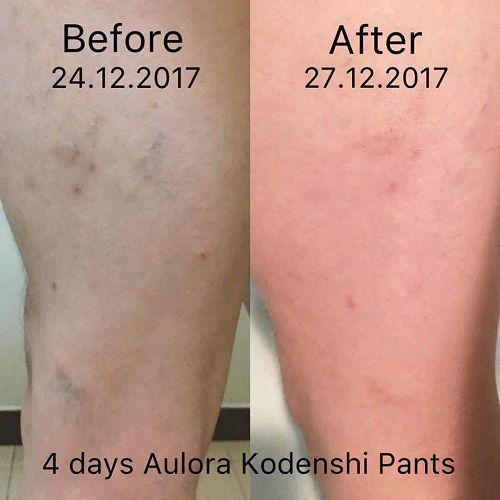 Does the Aulora Pants work? Check out the pictures below. 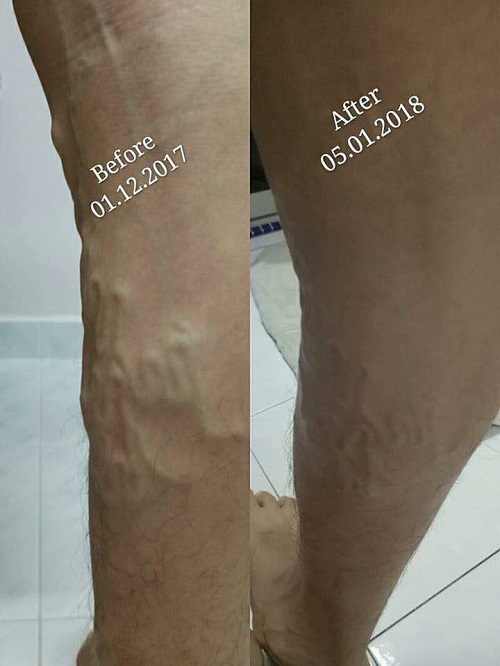 It shows the before and after effect on leg veins after wearing the pants for just a few days.